Evocative upholstery patterns! Motorsport liveries! Multiple vowels in a row! 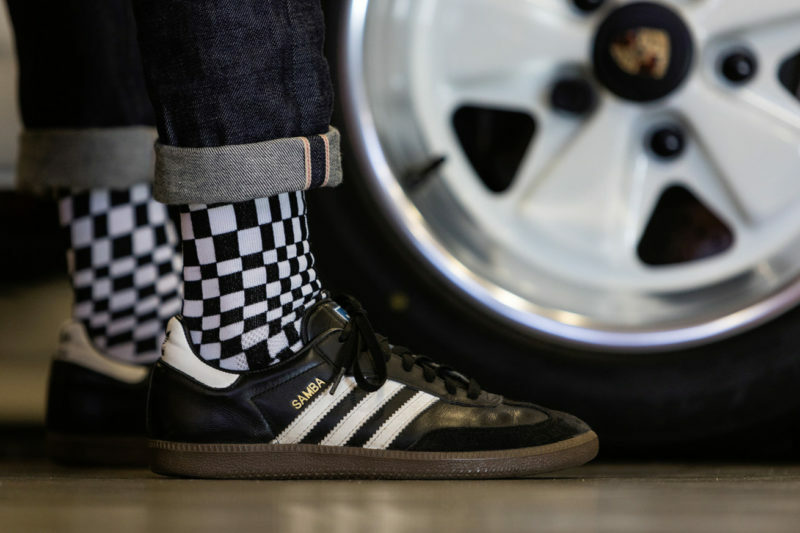 Striipe socks bring some serious car-guy cred to our otherwise human-hued feet and ankles. Striipe's lineup caters mostly to the German car fan, with a strong emphasis on Porsche and BMW. The designs chosen are subtle enough to not elicit snide comments from your coworkers like most "fun socks," and despite an occasionally aggressive color-palate come across as wholly unpretentious. The current OEM lineup includes three variations on Pasha, plus a pair of Alpina designs, and one BMW M-cloth pattern, while the Motorsport lineup features designs based on classic Martini racing, Rothmans, and Porsche liveries. Additional patterns inspired by classic Porsche Houndstooth upholstery and Pirelli CN36 tires are also available in the brand's clearance section. With Luftgekühlt imminent, these designs are one of the classier ways to show wear your brand enthusiasm on your body. Founded just over a year ago by Porsche enthusiast Eric Horton, Striipe's footwear is also functional- Eric's time as creative director for cycling brand Giro has informed his approach to functional and stylish socks. Eric is also Porsche passionate, as he recently purchased a gorgeous martini-striped 944 Turbo.